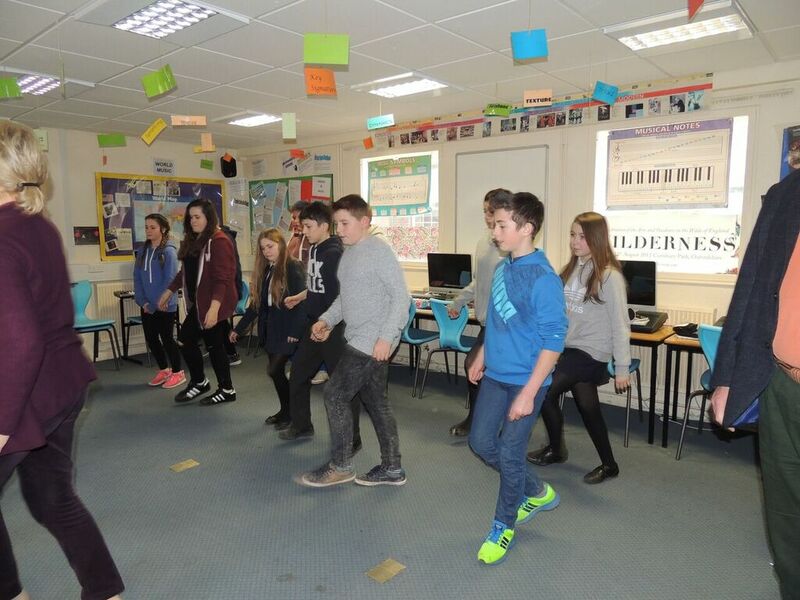 Music and drama can help build interpersonal skills, self confidence and a sense of teamwork. Developing these valuable personality traits in young people can benefit them both in their future employment and in their leisure activities. 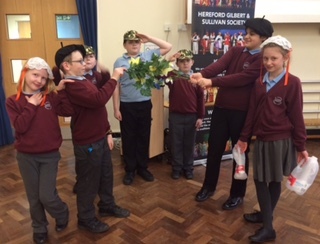 With this in mind, Hereford G&S Society runs a series of workshops in local schools and colleges designed to introduce students to the Gilbert and Sullivan repertoire and to singing and acting in general. 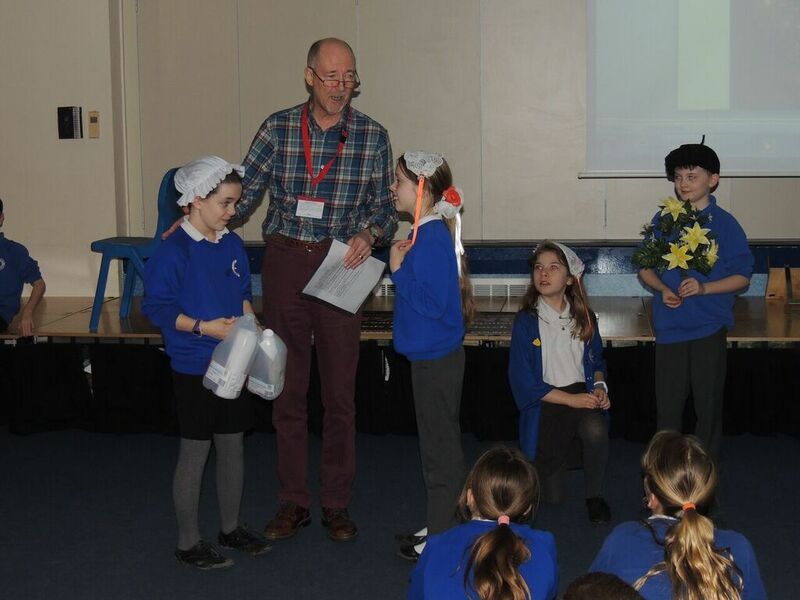 Each year several such workshops are now held in local primary schools, with an enthusiastic reception. Our aim is to encourage more young people to consider getting involved in performance art and their community (and G&S in particular). 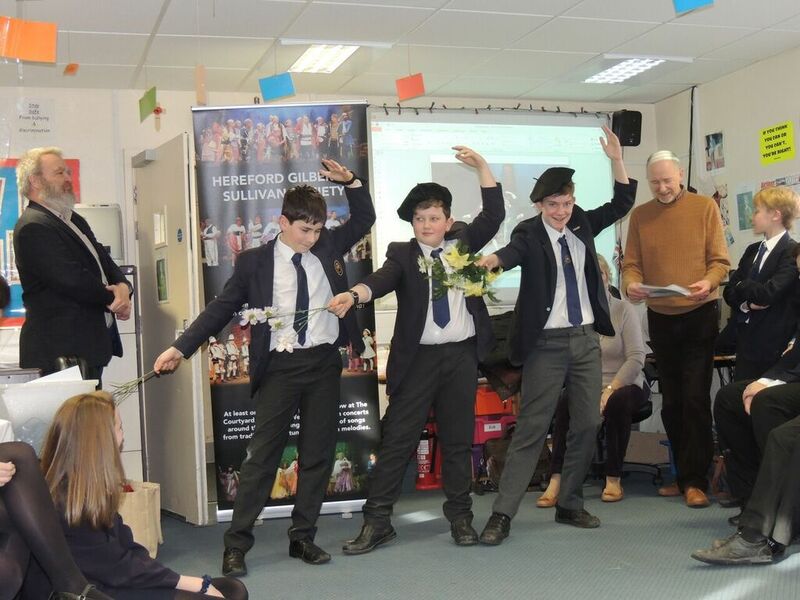 Hereford Gilbert and Sullivan Society invite you to our Schools Matinee of The Mikado on Wednesday 20 March 2019 at The Courtyard at 2pm. Tickets £5. Workshops in February at your school free of charge. During February 2019, our cast and new Musical Director Hannah Bowman will visit your school to spend up to an hour teaching students the story and the music. The Mikado is a comic operetta by Gilbert and Sullivan set in the fictional Japanese town of Titipu. Meet Nanki Poo (a Wandering Minstrel) Ko Ko (He’s Got a Little List) Yum-Yum, Pitti Sing and Peep Bo ( Three Little Maids From School) not to mention Katisha, Pish Tush, Poo Bah and Go To. 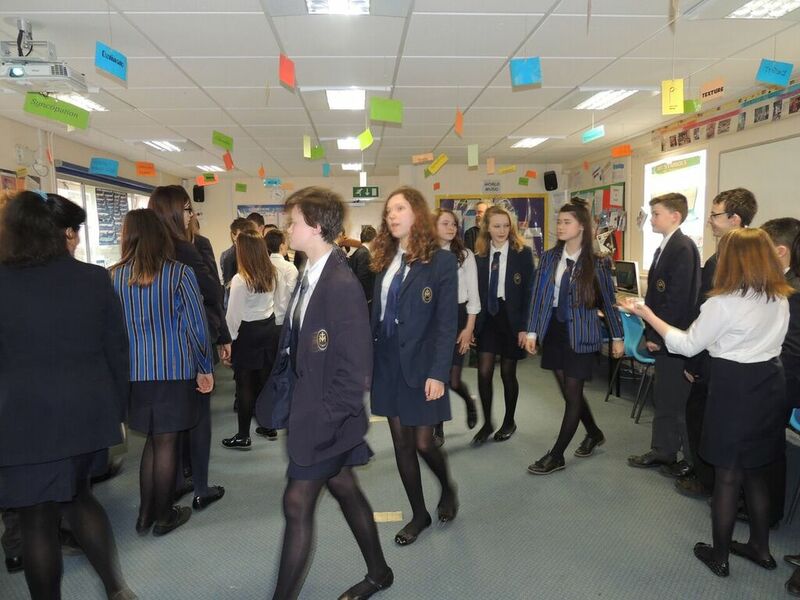 This is a great opportunity for students to access quality live opera in a local venue at an affordable price, an experience that is greatly enhanced by our workshops which give them an understanding of the plot and a knowledge of the music. In previous years they have enjoyed singing along and meeting the cast after the show. 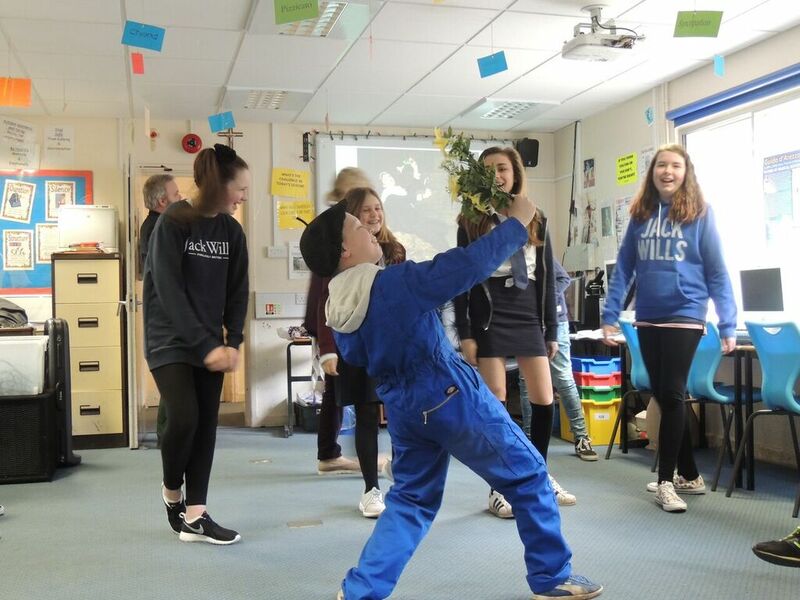 Give you and your staff a well earned break – during the workshop and the performance you can sit back and let us educate and entertain your kids.